Godzilla (Japanese: ゴジラ, Hepburn: Gojira) (/ɡɒdˈzɪlə/; [ɡoꜜdʑiɽa]) is a fictional giant monster originating from a series of tokusatsu films of the same name from Japan. It first appeared in Ishirō Honda's 1954 film Godzilla. Since then, Godzilla has gone on to become a worldwide pop culture icon, appearing in numerous media including video games, novels, comic books, television shows, 29 films produced by Toho and two Hollywood films. The character is commonly alluded by the epithet "King of the Monsters"; a phrase first used in Godzilla, King of the Monsters!, the Americanized version of Honda's original 1954 film. With the nuclear bombings of Hiroshima and Nagasaki and the Lucky Dragon 5 incident still fresh in the Japanese consciousness, Godzilla was conceived as a metaphor for nuclear weapons. As the film series expanded, some stories took on less serious undertones portraying Godzilla as an antihero while other plots still portrayed Godzilla as a destructive monster; sometimes the lesser of two threats who plays the defender by default but is still a danger to humanity. With the end of the Cold War, several post-1984 Godzilla films shifted the character's portrayal as a symbol of nuclear weapons to that of modern Japan's forgetfulness over its imperial past, natural disasters and the overall human condition. In the various stories it has appeared in, Godzilla has been featured alongside many supporting characters. It has faced human opponents such as the JSDF, and other giant monsters, from recurring characters like King Ghidorah, Gigan and Mechagodzilla to one-shot characters like Biollante, Destoroyah and the MUTOs. Godzilla is also shown to have allies, such as Mothra, Rodan and Anguirus (though these characters were initially portrayed as Godzilla's rivals), and offspring, such as Minilla and Godzilla Junior. Godzilla has even fought against fictional characters from other franchises in crossover media, such as RKO Pictures/Universal Studios movie monster King Kong and Marvel Comics characters S.H.I.E.L.D. and the Fantastic Four. Gojira (ゴジラ) is a portmanteau of the Japanese words: gorira (ゴリラ?, "gorilla"), and kujira (鯨 (クジラ)?, "whale"), which is fitting because in one planning stage, Godzilla was described as "a cross between a gorilla and a whale", alluding to its size, power and aquatic origin. One popular story is that "Gojira" was actually the nickname of a corpulent stagehand at Toho Studio. Kimi Honda, the widow of the director, dismissed this in a 1998 BBC documentary devoted to Godzilla, "The backstage boys at Toho loved to joke around with tall stories". Godzilla's name was written in ateji as Gojira (呉爾羅? ), where the kanji are used for phonetic value and not for meaning. The Japanese pronunciation of the name is [ɡodʑiɽa]; the Anglicized form is /ɡɒdˈzɪlə/, with the first syllable pronounced like the word "god", and the rest rhyming with "gorilla". 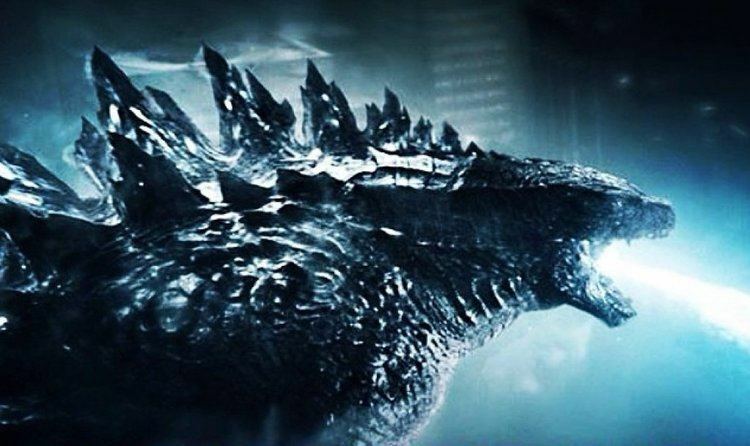 In the Hepburn romanization system, Godzilla's name is rendered as "Gojira", whereas in the Kunrei romanization system it is rendered as "Gozira". Within the context of the Japanese films, Godzilla's exact origins vary, but it is generally depicted as an enormous, violent, prehistoric sea monster awakened and empowered by nuclear radiation. Although the specific details of Godzilla's appearance have varied slightly over the years, the overall impression has remained consistent. Inspired by the fictional Rhedosaurus created by animator Ray Harryhausen for the film The Beast from 20,000 Fathoms, Godzilla's iconic character design was conceived as that of an amphibious reptilian monster based around the loose concept of a dinosaur with an erect standing posture, scaly skin, an anthropomorphic torso with muscular arms, spikes on its back and tail, and a furrowed brow. Art director Akira Watanabe combined attributes of a Tyrannosaurus, an Iguanodon, a Stegosaurus and an alligator to form a sort of blended chimera, inspired by illustrations from an issue of Life magazine. To emphasise the monster's relationship with the atomic bomb, its skin texture was inspired by the keloid scars seen on survivors in Hiroshima. The basic design has a reptilian visage, a robust build, an upright posture, a long tail and rows of serrated fins along the back. In the original film, the fins were added for purely aesthetic purposes, in order to further differentiate Godzilla from any other living or extinct creature. 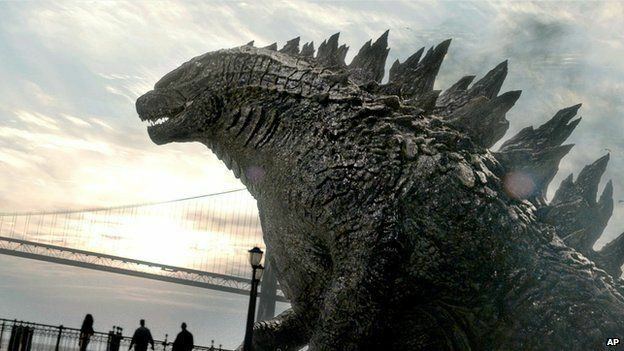 Godzilla is sometimes depicted as green in comics, cartoons and movie posters, but the costumes used in the movies were usually painted charcoal grey with bone-white dorsal fins up until the film Godzilla 2000. Godzilla's signature weapon is its "atomic breath," a nuclear blast that it generates inside of its body and unleashes from its jaws in the form of a blue or red radioactive heat ray. Toho’s special effects department has used various techniques to render the breath, from physical gas-powered flames to hand-drawn or computer-generated fire. Godzilla is shown to possess immense physical strength and muscularity. Haruo Nakajima, the actor who played Godzilla in the original films, was a black belt in Judo and used his expertise to choreograph the battle sequences. Godzilla can breathe underwater, and is described in the original film by the character Dr. Yamane as a transitional form between a marine and a terrestrial reptile. Godzilla is shown to have great vitality: it is immune to conventional weaponry thanks to its rugged hide and ability to regenerate, and as a result of surviving a nuclear explosion, it cannot be destroyed by anything less powerful. Various films, television shows, comics and games have depicted Godzilla with additional powers such as an atomic pulse, magnetism, precognition, fireballs, an electric bite, superhuman speed, eye beams and even flight. Godzilla's allegiance and motivations have changed from film to film to suit the needs of the story. Although Godzilla does not like humans, it will fight alongside humanity against common threats. However, it makes no special effort to protect human life or property and will turn against its human allies on a whim. It is not motivated to attack by predatory instinct: it doesn't eat people, and instead sustains itself on radiation and an omnivorous diet. 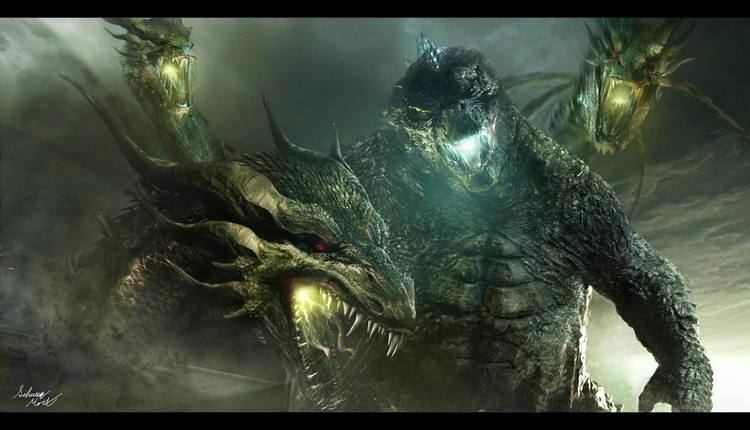 When inquired if Godzilla was "good or bad", producer Shogo Tomiyama likened it to a Shinto "God of Destruction" which lacks moral agency and cannot be held to human standards of good and evil. "He totally destroys everything and then there is a rebirth. Something new and fresh can begin." Godzilla has a distinctive disyllabic roar (transcribed in several comics as Skreeeonk! ), which was created by composer Akira Ifukube, who produced the sound by rubbing a pine-tar-resin-coated glove along the string of a contrabass and then slowing down the playback. In the American version of Godzilla Raids Again (1955) entitled Gigantis the Fire Monster, Godzilla's iconic roar was substituted with that of the monster Anguirus. From The Return of Godzilla (1984) to Godzilla vs. King Ghidorah (1991), Godzilla was given a deeper and more threatening-sounding roar than in previous films, though this change was reverted from Godzilla vs. Mothra (1992) onwards. 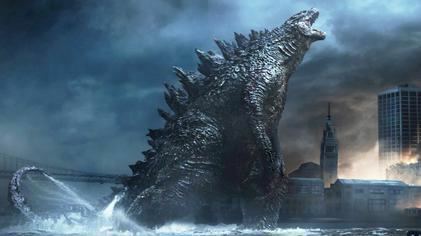 For the 2014 American film, sound editors Ethan Van der Ryn and Erik Aadahl refused to disclose the source of the sounds used for their Godzilla's roar. Aadahl described the two syllables of the roar as representing two different emotional reactions, with the first expressing fury, and the second conveying the character's soul. Godzilla's size is inconsistent, changing from film to film and even from scene to scene for the sake of artistic license. The miniature sets and costumes were typically built at a 1⁄25– 1⁄50 scale and filmed at 240 frames per second, to create the illusion of great size. In the original 1954 film, Godzilla was scaled to be 50 m (164 ft) tall. This was done so Godzilla could just peer over the largest buildings in Tokyo at the time. In the 1956 American version, Godzilla is estimated to be 121.9 m (400 ft) tall, because producer Joseph E. Levine felt that 50 m didn't sound "powerful enough". As the series progressed Toho would rescale the character, eventually making Godzilla as tall as 100 m (328 ft). This was so that it wouldn't be dwarfed by the newer bigger buildings in Tokyo's skyline such as the 242.9-meter-tall (797 ft) Tokyo Metropolitan Government Building which Godzilla destroyed in the film Godzilla vs. King Ghidorah (1991). Supplementary information such as character profiles would also depict Godzilla as weighing between 20,000 and 60,000 metric tons (22,000 and 66,000 short tons). In the American film Godzilla (2014) from Legendary Pictures, Godzilla was scaled to be 108.2 m (355 ft) and weighing 90,000 metric tons (99,000 short tons), making it the largest film version to that time. Director Gareth Edwards wanted Godzilla "to be so big as to be seen from anywhere in the city, but not too big that he couldn’t be obscured". The producers of Shin Godzilla made that film's version of Godzilla even taller than the Legendary version, at 118.5 m (389 ft). Taking inspiration from King Kong, special effects artist Eiji Tsuburaya had initially wanted Godzilla to be portrayed via stop-motion, but prohibitive deadlines and a lack of experienced animators in Japan at the time made suitmation more practical. The first suit consisted of a body cavity made of thin wires and bamboo wrapped in chicken wire for support, and covered in fabric and cushions, which were then coated in latex. The first suit was held together by small hooks on the back, though subsequent Godzilla suits incorporated a zipper. Its weight was in excess of 100 kg (220 lb). Prior to 1984, most Godzilla suits were made from scratch, thus resulting in slight design changes in each film appearance. The most notable changes during the 1960s-70s were the reduction in Godzilla's number of toes and the removal of the character's external ears and prominent fangs, features which would later be reincorporated in the Godzilla designs from The Return of Godzilla (1984) onwards. The most consistent Godzilla design was maintained from Godzilla vs Biollante (1989) to Godzilla vs Destoroyah (1995), when the suit was given a cat-like face and double rows of teeth. Several suit actors had difficulties in performing as Godzilla, due to the suits' weight, lack of ventilation and diminished visibility. Kenpachiro Satsuma in particular, who portrayed Godzilla from 1984 to 1995, described how the Godzilla suits he wore were even heavier and hotter than their predecessors, because of the incorporation of animatronics. Satsuma himself suffered numerous medical issues during his tenure, including oxygen deprivation, near drowning, concussions, electric shocks, and lacerations to the legs from the suits' steel wire reinforcements wearing through the rubber padding. The ventilation problem was partially solved in the suit used in 1994's Godzilla vs. SpaceGodzilla, which was the first to include an air duct, which allowed suit actors to last longer during performances. In The Return of Godzilla (1984), some scenes made use of a 16-foot high robotic Godzilla (dubbed "Cybot") for use in close-up shots of the creature's head. The Cybot consisted of a hydraulically-powered mechanical endoskeleton covered in urethane skin containing 3,000 computer operated parts which permitted it to tilt its head, and move its lips and arms. In Godzilla (1998), special effects artist Patrick Tatopoulos was instructed to redesign Godzilla as an incredibly fast runner. At one point, it was planned to use motion capture from a human to create the movements of the computer-generated Godzilla, but it ended up looking too much like a human in a suit. Tatopoulos subsequently reimagined the creature as a lean, digitigrade bipedal iguana that stood with its back and tail parallel to the ground, rendered via CGI. Several scenes had the monster portrayed by stuntmen in suits. The suits were similar to those used in the Toho films, with the actors' heads being located in the monster's neck region, and the facial movements controlled via animatronics. However, because of the creature's horizontal posture, the stuntmen had to wear metal leg extenders, which allowed them to stand two meters (six feet) off the ground with their feet bent forward. The film's special effects crew also built a 1⁄6 scale animatronic Godzilla for close-up scenes, whose size outmatched that of Stan Winston's T. rex in Jurassic Park. Kurt Carley performed the suitmation sequences for the adult Godzilla. In Godzilla (2014), the character was portrayed entirely via CGI. Godzilla's design in the reboot was intended to stay true to that of the original series, though the film's special effects team strove to make the monster "more dynamic than a guy in a big rubber suit." To create a CG version of Godzilla, The Moving Picture Company (MPC) studied various animals such as bears, Komodo dragons, lizards, lions and wolves which helped the visual effects artists visualize Godzilla's body structure like that of its underlying bone, fat and muscle structure as well as the thickness and texture of its scale. Motion capture was also used for some of Godzilla's movements. TJ Storm provided the motion capture performance for Godzilla by wearing sensors in front of a green screen. In 1967, The Keukdong Entertainment Company of South Korea, with production assistance from Toei Company who created Godzilla, introduced Yongary: Monster from the Deep, a monster who invades a local oil refinery and consumes oil. A remake was introduced in 1999 called Yonggary with a similar plot to the 1967 movie. Godzilla has been considered a filmographic metaphor for the United States, as well as an allegory of nuclear weapons in general. The earlier Godzilla films, especially the original, portrayed Godzilla as a frightening, nuclear monster. Godzilla represented the fears that many Japanese held about the atomic bombings of Hiroshima and Nagasaki, and the possibility of recurrence. As the series progressed, so did Godzilla, changing into a less destructive and more heroic character as the films became geared towards children. Since then, the character has fallen somewhere in the middle, sometimes portrayed as a protector of the world from external threats and other times as a bringer of destruction. In 1996, Godzilla received the MTV Lifetime Achievement Award, as well, Godzilla was given a star on the Hollywood Walk of Fame in 2004 to celebrate the premiere of the character's 50th anniversary film, Godzilla: Final Wars. Godzilla's pop-cultural impact has led to the creation of numerous parodies and tributes, as seen in media such as Bambi Meets Godzilla, which was ranked as one of the "50 greatest cartoons", various episodes of Mystery Science Theater 3000, and the song "Godzilla", by Blue Öyster Cult. Godzilla has also been used in advertisements, such as in a commercial for Nike, where Godzilla lost a game of basketball to NBA player Charles Barkley. The commercial was subsequently adapted into a comic book illustrated by Jeff Butler. Godzilla has also appeared in a commercial for Snickers candy bar, which served as an indirect promo for the 2014 movie. Godzilla's success inspired the creation of numerous other monster characters, such as Gamera, Reptilicus of Denmark, and Gorgo of the United Kingdom. Godzilla's fame and saurian appearance has influenced the scientific community. Gojirasaurus is a dubious genus of coelophysid dinosaur, named by paleontologist and admitted Godzilla fan Kenneth Carpenter. Dakosaurus is an extinct marine crocodile of the Jurassic Period, which researchers informally nicknamed "Godzilla". Paleontologists have written tongue-in-cheek speculative articles about Godzilla's biology, with Ken Carpenter tentatively classifying it as a ceratosaur based on its skull shape, four fingered hands and dorsal scutes, and paleontologist Darren Naish expressing skepticism while commenting on Godzilla's unusual morphology. Godzilla's ubiquity in pop-culture has led to the mistaken assumption that the character is in the public domain, resulting in litigation by Toho to protect their corporate asset from becoming a generic trademark. In April 2008, Subway depicted a giant monster in a commercial for their Five Dollar Footlong sandwich promotion. Toho filed a lawsuit against Subway for using the character without permission, demanding $150,000 in compensation. In February 2011, Toho sued Honda for depicting a fire-breathing monster in a commercial for the Honda Odyssey. The monster was never mentioned by name, being seen briefly on a video screen inside the minivan. The Sea Shepherd Conservation Society christened a vessel Gojira. Its purpose is to target and harass Japanese whalers in defense of whales in the Southern Ocean Whale Sanctuary. The Gojira was renamed MV Brigitte Bardot in May 2011 due to legal pressure from Toho. Gojira is the name of a French death metal band, formerly known as Godzilla; legal problems forced the band to change their name. In May 2015, Toho launched a lawsuit against Voltage Pictures over a planned picture starring Anne Hathaway. Promotional material released at the Cannes Film Festival used images of Godzilla. 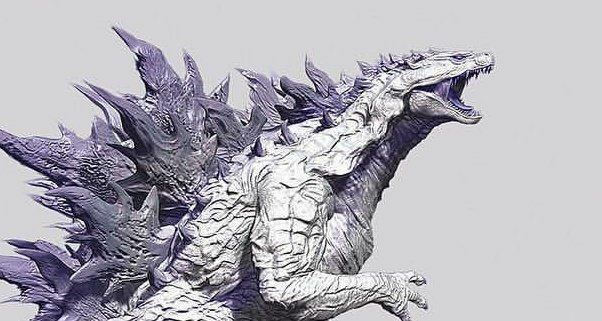 To encourage tourism in April 2015 the central Shinjuku ward of Tokyo named Godzilla an official cultural ambassador. 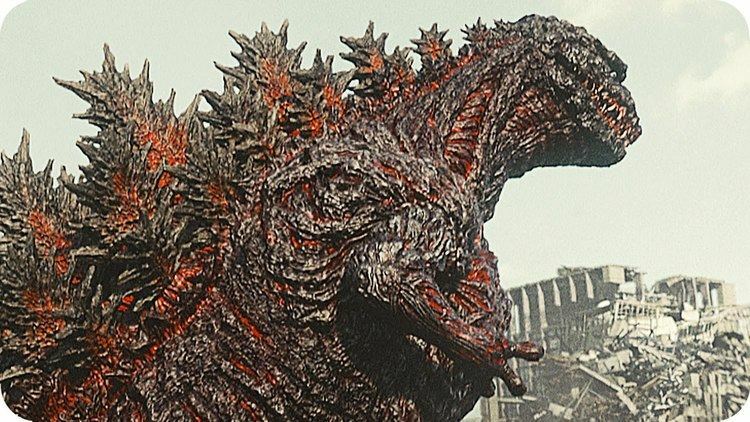 During an unveiling of a giant Godzilla bust at Toho headquarters, Shinjuki mayor Kenichi Yoshizumi stated "Godzillia is a character that is the pride of Japan." The mayor extended a residency certificate to an actor in a rubber suit representing Godzilla, but as the suit's hands were not designed for grasping it was accepted on Godzilla's behalf by a Toho executive. Reporters noted that Shinjuku ward has been flattened by Godzilla in three Toho movies.